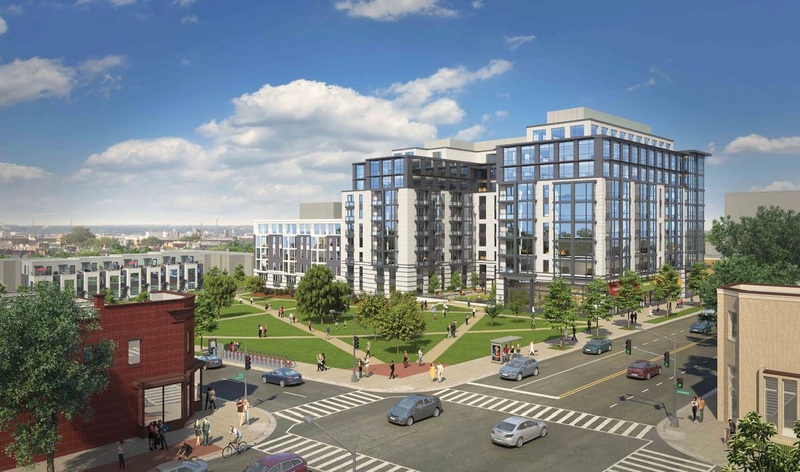 Park Morton Redevelopment Effort Clears Significant Hurdle, Receives Council Approval | Park View, D.C. This entry was posted on December 21, 2016 at 6:01 am and is filed under Development, Housing, Parks and Green spaces. You can subscribe via RSS 2.0 feed to this post's comments. Kent, it’s a little disingenuous to say this place is creating “new permanent park spaces” when it is TAKING AWAY a significant part of an existing park space. This is undeniably a net loss of park space in an area of town that is desperately lacking in parks. Banneker Rec is 1/3 of a mile south. The existing park was never supposed to be permanent. It is disingenuous to claim otherwise. That area is so dense already. Have you seen how full the 70 and 79 busses are? It takes significant stopping time to board/disembark. And all the parking in the area is already gone. Every bit of curb space is taken, the police now even allow parking in the alley itself because there are not enough spaces; and here come 300 units with parking for 129? I luckily have my own space but what can be the outcome with this overcrowding of streets and busses? Waiting for this project to fail. The areas infrastructure can’t handle this amount of change. Our community will get a ““new permanent park” that fails to replace in kind even the crappy amenities DC installed temporarily. Council members get your bank accounts ready: Dantes Partners are going to have some extra money to spread around after this goes through. Thanks Kent for keeping of us informed of this important community development. Whether you like the project or not (and I think it’s great), it will undoubtedly change Parkview, and we should all appreciate you keeping us up to date on how it progresses.